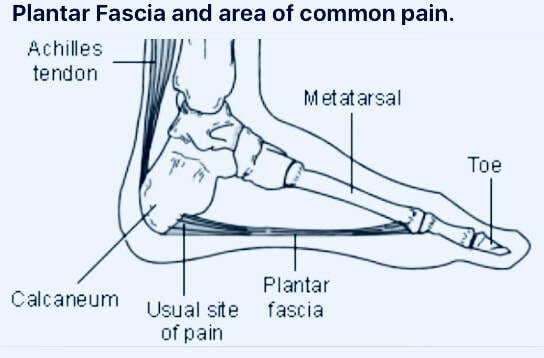 Men and women can suffer from heel pain, Plantar Fasciitis is the thickening of the Plantar Fascia which is a wide band of tissue underneath the foot from the heel to the toes which becomes inflamed and very painful on weightbearing. The most painful times are first thing in the morning on standing, standing after long periods of sitting and when pressure is applied to certain areas. Applying tape weekly around the foot and up the back of the leg can reduce pain and wth various exercises help you back to normal fitness.